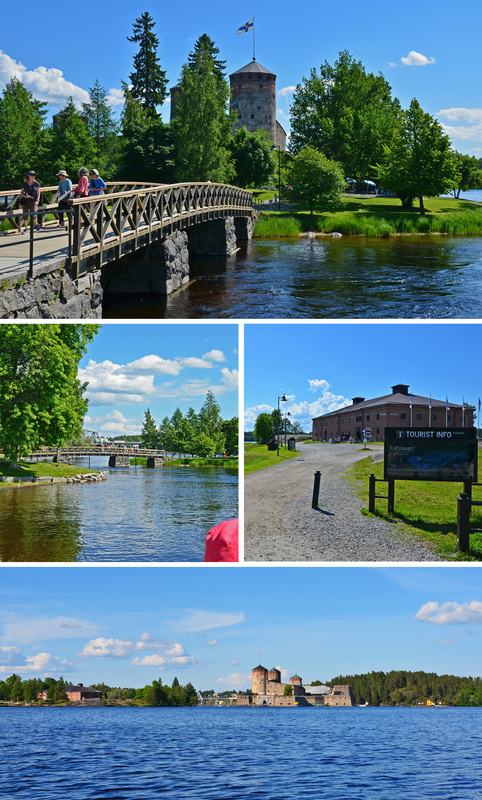 When you come to visit my home town, Savonlinna, I recommend you to take a special walking tour in our idyllic town center. 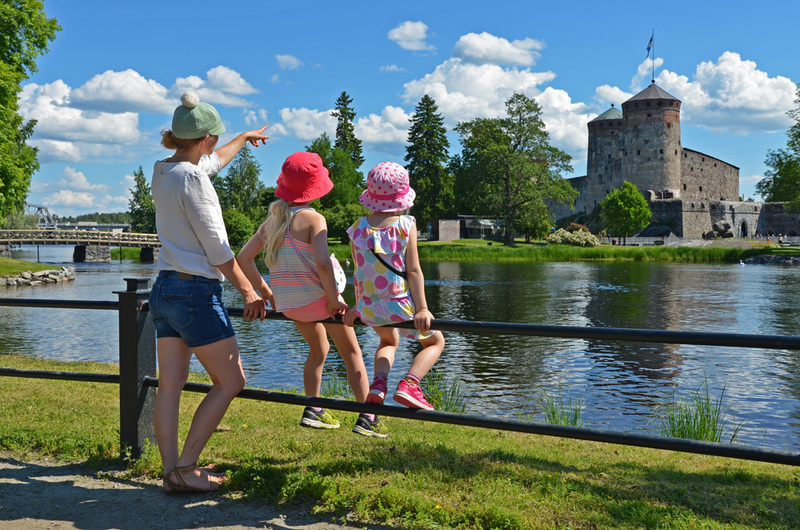 The reason is simple: in this walking tour, you can see and experience the best of Savonlinna – its history, culture, lake nature and authentic local life and delicacies. To make your visit and tour easier, I drew you this map. The map takes you from Olavinlinna Castle to Sulosaari Island and the route is less than 1,5 km one way. See Savonlinna in Google Maps for more details. Other streets worth discovering are Linnankatu, Satamakatu, and Puistokatu. These streets are located near this walking route and you can find cafes, restaurants, hotels and small local handcraft shops when strolling around. In the following video, my family and I arrive at Savonlinna city center with our small boat. We will take this special walking tour marked on the map and while walking you can hear more about these places and get some Savonlinna visitor tips. For the best experience, please watch this 360° video in Youtube app with virtual reality headset and remember to turn on HD! Tap on Youtube icon in the player below or open this link https://youtu.be/FrNQCW7coj0 in your Youtube App. These kinds of comments you’ll find about Olavinlinna Castle on TripAdvisor. Olavinlinna Castle – the crown of Savonlinna – is definitely one of the highlights on your visit to Saimaa and Finnish Lakeland. Before visiting, be sure to read more about the history of Olavinlinna Castle. Olavinlinna Castle is also a place for the world-famous one-month long music event that is held every year in July: Savonlinna Opera Festival. 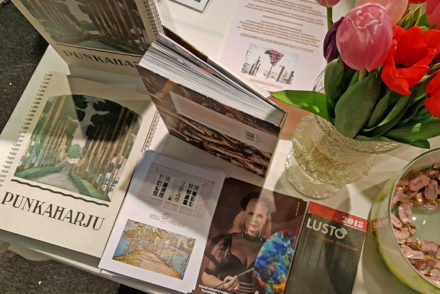 Next to Olavinlinna Castle you will find Riihisaari – Lake Saimaa Nature and Culture Centre – another place worth checking out. Olavinkatu is the main street in Savonlinna town center. However, the lakeside walking promenade is more beautiful and peaceful. It will take you from Olavinlinna Castle to Savonlinna harbor and market place. First, the name of this lakeside promenade walking street is Martti Talvelan Puistotie and then it changes to Erik Laxmannin Puistotie. 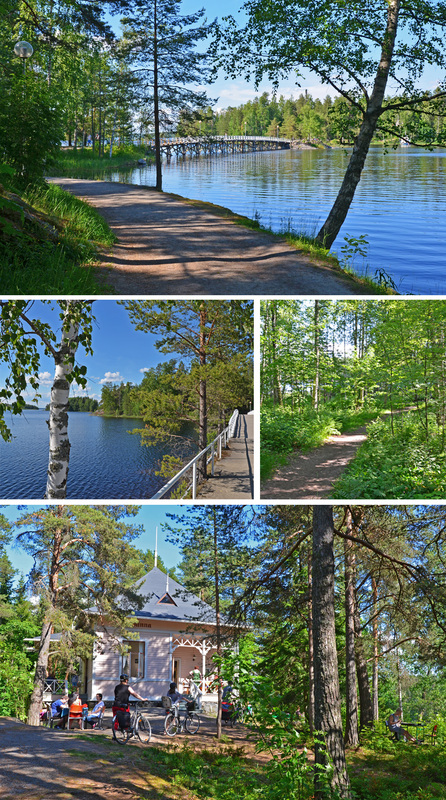 Stroll the lakeside walking promenade, sense the idyll of small town atmosphere and sit down for a while to enjoy the Saimaa lake view in front of you. 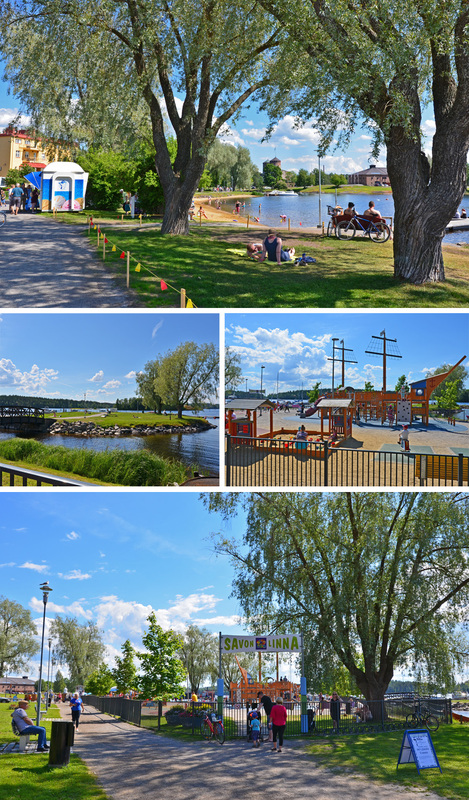 In July, during the Savonlinna Opera Festival this lakeside promenade is full of life, but in the wintertime, it’s a place where you can find peace and silence right in the town center. It offers something attractive and interesting for both adults and children which make this promenade even better. When you get to the end of Erik Laxmannin puistotie, you’ll see the harbor with its steamships and cruise ships that take people around the town almost every hour in the summertime. Worth experiencing, too! 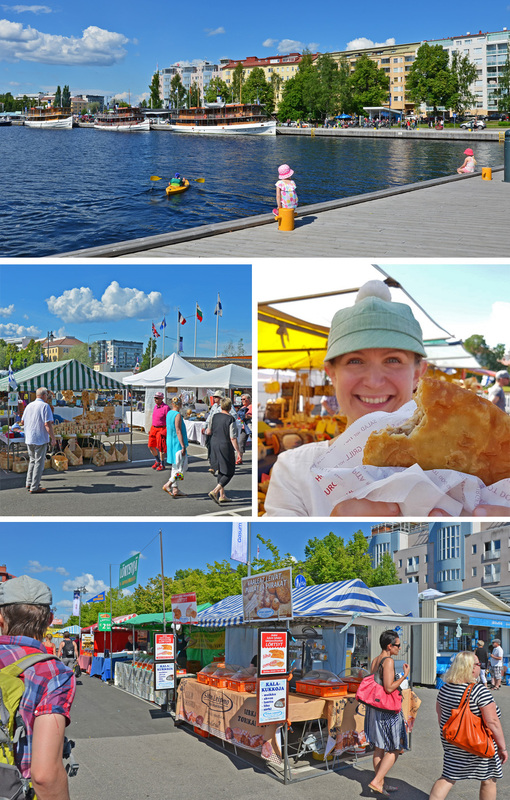 Behind the ships, there is the market place – the best place to taste local delicacies in the summer. Next to the market place, there is Olavinkatu which is the main street of Savonlinna. Cross Olavinkatu and head towards the walking bridge by taking the underpass corridor. Walk past Casino kylpylä (Casino Spa Hotel) and its parking lot until you get to the small gravel path that leads you to Sulosaari Island. The Sulosaari path can be hard to notice: it’s in the end of the parking lot, and before you get to a sandy small downhill there is an old street sign that says Kalliolinna Cafe. Head that way! 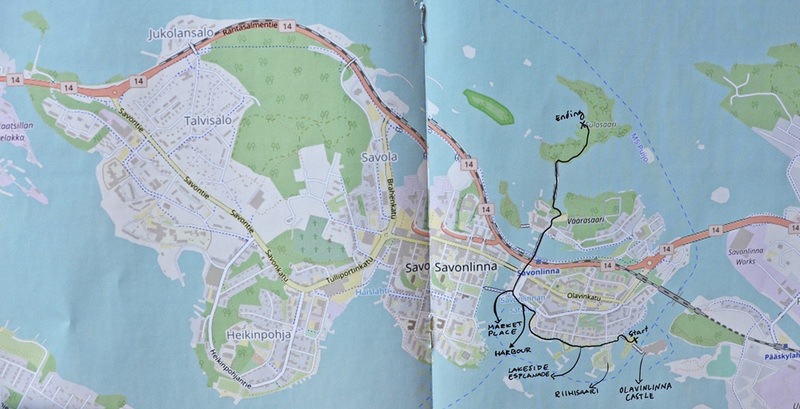 Sulosaari Island itself is full of walking paths. 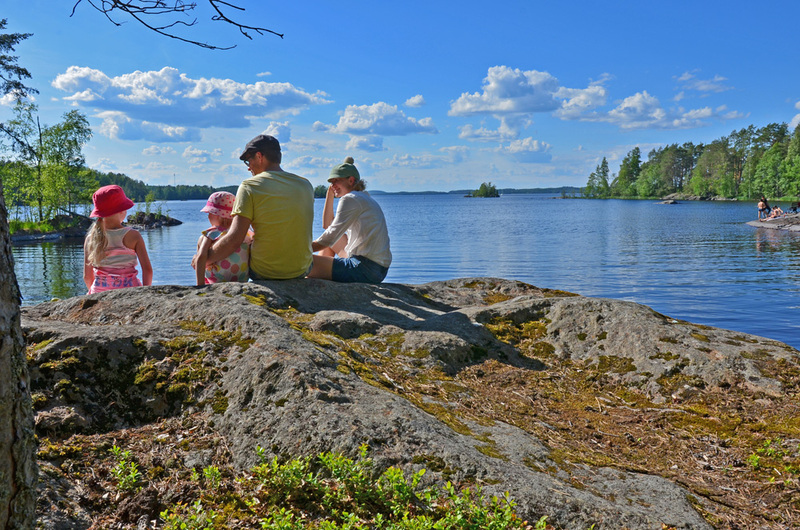 It’s a perfect place to have a relaxing lakeside picnic and embrace the peace and beauty of Saimaa lake nature. SaimaaLife tip: In the summertime, there is a cute pancake cafe called Lettukahvila. Run by local students, the cafe is located in a beautiful old villa. It’s a wonderful (and tasty!) 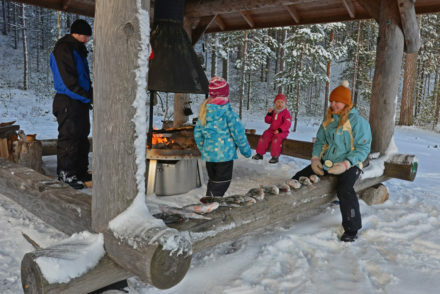 place to visit in the beginning or in the end of your visit to Sulosaari Island. 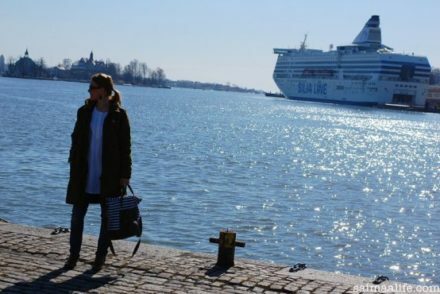 This story and these tips were all about Savonlinna town center. But Savonlinna is so much more than the center: for example, Kerimäki, the home of World’s Largest Wooden Church by the Lake Puruvesi is located close to Savonlinna. Not to mention Punkaharju that is a part of Savonlinna, too. Did you know that Punkaharju Esker Nature Reserve is among CNN Travel ‘s 50 Natural Wonders in the World? So after taking a walk in the Savonlinna center, I would recommend you to take a train to Punkaharju or rent a car and start discovering some highlights of Savonlinna countryside. All the highlights are just about a 30-minute drive from Savonlinna town center, and like in Savonlinna, you will find calming and breathtaking Saimaa lake sceneries on your way!